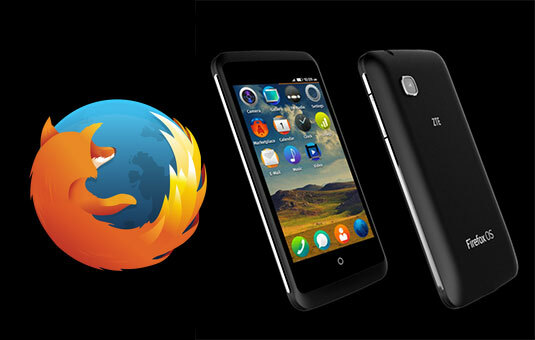 Chinese mobe-maker ZTE has announced that the ZTE Open C, its latest phone running Mozilla's open source Firefox OS, is now available for sale worldwide via eBay. The new device, which was first unveiled at the Mobile World Congress tradeshow in February, is an upgraded version of the earlier ZTE Open, but while that device retailed for $80 in the US, the Open C bumps the price to $99.99. No, these aren't the $25 Firefox OS phones you've been hearing about. But they're still strictly low-end kit, in keeping with Mozilla's strategy of targeting first-time smartphone buyers in the developing world. The Open C outdoes the original Open's specs, but not in any ways that will impress you. In place of the original's single-core, 1Ghz processor, the Open C has a dual-core, 1.2GHz Qualcomm chip. Instead of a 3.5-inch screen, the new model has a 4-inch screen, and its resolution has been upped from 480-by-320 to 800-by-480. Instead of 512BM of internal storage, the Open C has 4GB. In other words, the Open C is a definite improvement over the almost obsessively lackluster hardware of ZTE's first Firefox OS phone, but you can still find plenty of cheap Android phones with better specs. The Open C is also notable in that it's the first device to ship with Firefox OS 1.3, the most recent production version. Much like ZTE's new device, Firefox OS 1.3 is only an incremental improvement over previous releases, but it does bring some new features. Hardware support has been improved slightly. Firefox OS 1.3 now supports dual-SIM, dual standby, a highly desirable feature in many developing markets – but neither the original ZTE Open nor the Open C is a dual-SIM phone. The new OS also supports continuous autofocus on cameras that support it; no word on whether the Open C's does. Users can now search for apps in the Firefox Marketplace as well as the web, and Firefox OS 1.3 will automatically group apps into "Smart Collections" based on topics such as Games, Music, or Social. Scrolling performance and app start-up times have also been improved. But other new features demonstrate how far Firefox OS still has to go to be truly competitive with other mobile platforms. For example, Firefox OS 1.3 is the first version that can access email accounts via POP3, in addition to IMAP, and it's the first version to display email notifications. Under the hood, the OS update offers a variety of new APIs for developers, but Mozilla's real challenge remains convincing developers that building smartphone apps using pure web technologies is better than building OS-native apps for other platforms. You can find a blog post from Mozilla detailing the new features of Firefox OS 1.3 here, and the complete release notes for the new version are here.